A billionaire Russian-American computer technologist, Sergey Brin is the mathematician and internet magnate. He is also the head of Alphabet Inc, the parent company of multinational technology company, Google. Brin entered into a partnership with his university buddy Larry Page with whom he pioneered Google. The duo took the internet outfit from a modest dorm room to world dominance. As of 2018, the tech-billionaire was ranked 13th richest individual in the world. Sergey Mikhaylovich Brin was born on August 21, 1973, in Moscow in the then Soviet Union. He is of Russian-Jew descent through his mother Yevgenia and father Mikhail Brin. His dad presently lectures mathematics at the University of Maryland while his mother is a researcher with the United States’ National Aeronautics Space Administration (NASA). Sergey Brin grew up in Moscow with his parents and grandmother. His father reportedly moved his family out of Russia after he returned from a conference in Warsaw, Poland. His parents’ visa application led to their loss of a job in 1978. They took casual jobs to keep the family afloat before their visa came through the following year – 1979. The family moved to Vienna and then Paris until with the help of an American non-profit humanitarian organization, Hebrew Immigrant Aid Society, his father landed a lecturing job with the University of Maryland in the United States and the whole family moved to the States on October 25th 1979. At age 6, Sergey Brin started his early education at Paint Branch Montessori School in Adelphi, Maryland and took home classes thereafter. His parents groomed him to retain the Russian language and sent him to Eleanor Roosevelt High School in Maryland from where he graduated and enrolled in the University of Maryland in 1990. At the age of 19, Brin graduated from the university with a Bachelor of Science in Computer Science in 1993. He began a graduate study in Computer Science at Stanford University where he met his friend and business partner, Larry Page. Page and Brin didn’t hit it off as friends initially as they disagreed on several issues but they gradually warmed up to each other as the years went by and became close friends. The duo teamed up to create and developed the PageRank algorithm, an algorithm named after Larry, the page used to determine the importance of web pages. This is the same algorithm used today by Google to rank pages on the World Wide Web. Larry Page’s dormitory room was quickly converted to the server lab where they assembled various computer components to build a device which they connected to the Stanford University campus network. They set up the dorm room as their office and datacenter and with their basic HTML and programming skills, they created a simple user interface for the search page and test-ran the search engine. It almost crashed the University’s network infrastructure as they assembled more hardware to enhance the search engine, it soon became popular among students in Stanford and in August 1996, it was integrated into the Stanford University website. Google was officially launched as a search engine on September 4, 1998, after which they began to get over 10,000 searches a day. Today, Google is not only a household name among web search engines but has become a multinational company worth billions of dollars which has birthed other services aside search engines. Brin and his partner Page were named by MIT Technology as one of the top 100 innovators under the age of 35. They received an honorary MBA from IE Business School in Madrid, Spain in the year 2003. 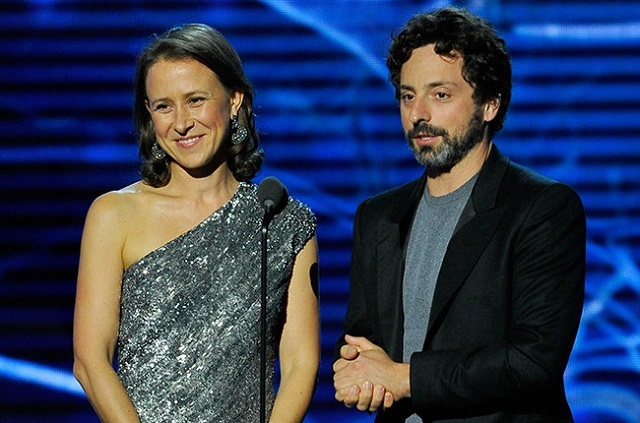 The duo was named by Forbes as the fifth most powerful people in the world in November 2009 and in February the same year, Sergey Brin was sworn into the National Academy of Engineering. He appeared as himself in the 2013 movie The Internship. 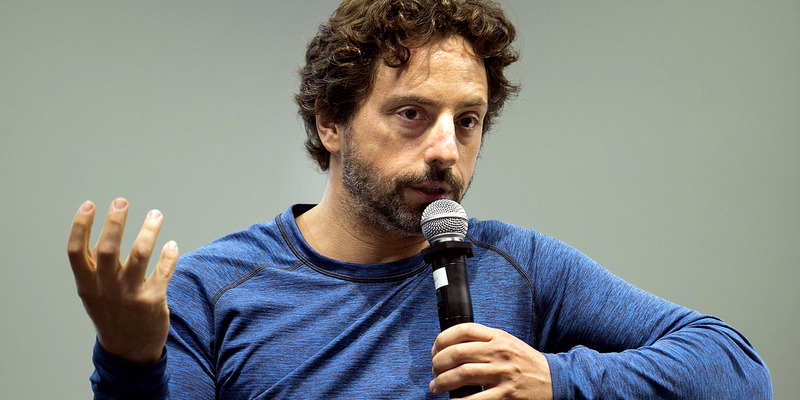 Sergey Brin is a multi-billionaire, he was named in October 2018 as the 13th richest person in the world by Forbes with a net worth of $47.5 billion, as of December 2018, that sum saw an increase as he now closely follows his partner Larry Page at No. 10 on the updated list with a net worth of about $49.7 billion. He is also voted as the 6th richest in the technology sector after Larry Page No.5. The 5 feet 8 inches tall internet mogul was previously married to Anne Wojcicki – a biotech analyst in the 23andme organization. Brin married Anne Wojcicki in May 2007 in a private ceremony. Wojcicki is a biotech analyst, as well as a businesswoman. She is the co-founder of 23andme Biotech company. The marriage between the two produced two kids – a son Benji Wojin and a daughter Chloe Wojin in 2008 and 2011 respectively. The couple made public their separation in August 2013 and were officially divorced in June 2015. The divorce was traced to Brin’s extra-marital affair with Google employee Amanda Rosenberg. Amanda was a member of the Google Glass project team and a graduate of Leeds University, UK, before she joined Google in 2008. Before she and Brin hooked up, she was previously in a romantic relationship with another senior Google executive Hugo Barra. Though divorced, Brin and Wojcicki are still business partners and are involved in various humanitarian endeavours.